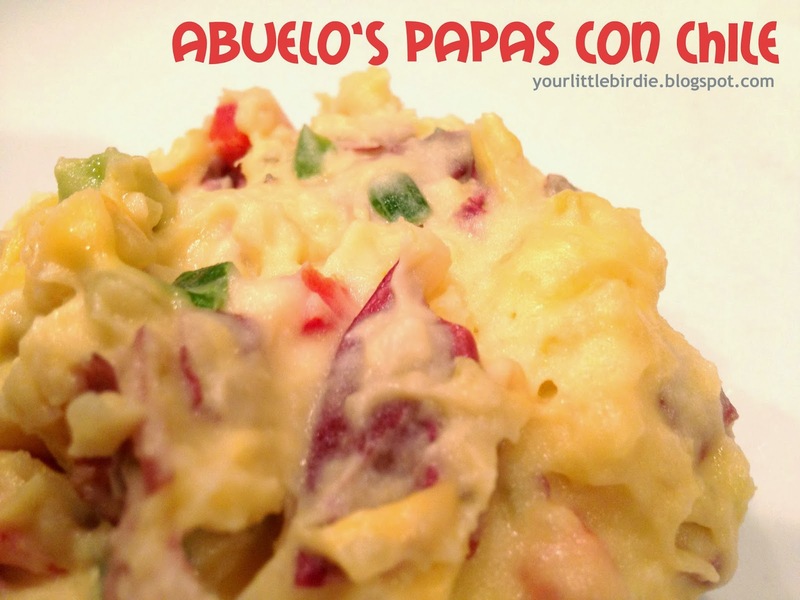 I love Abuelo's Papas Con Chile. If you are from West Texas, Abuelo's is the "nice" Mexican food restaurant and their papas are the best. They serve these over Spanish Rice and I promise, you won't miss the rice. When I found the recipe online, I had to try it. And, they are almost exactly the same! The key to these potatoes is the mix of cheesy gooey goodness and the spice of green chiles, jalapenos, and bell peppers. Check out the recipe from Mommy Travels here.